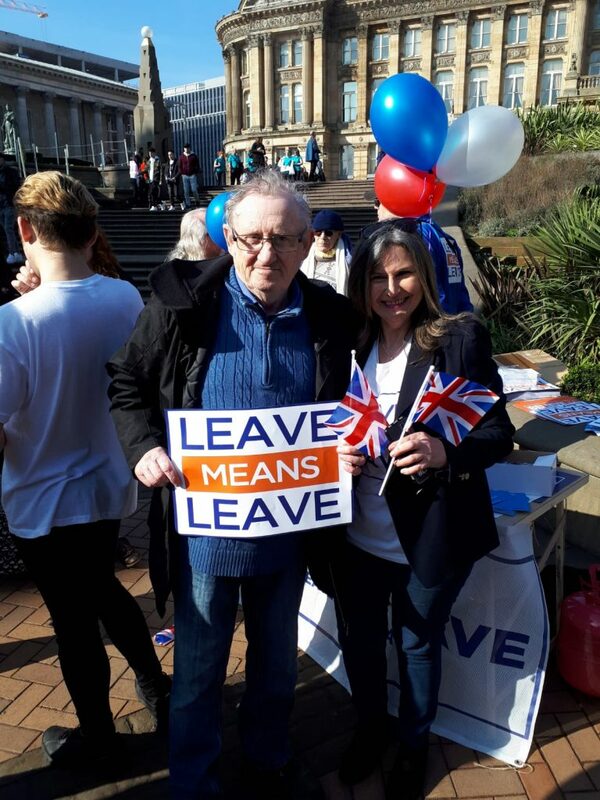 Rev Ross Rennie joined about 300 other supporters of the Leave Means Leave campaign at a rally in Birmingham today. Rev Ross was there to lend his support to the campaign, which is pushing for a clean, swift exit from the European Union and seeking to ensure the British people get what they voted for in June 2016. On 1 and 2 May 2018 in Belfast, the Supreme Court will hear an appeal from Ashers Baking Company against the ruling of a previous appeal in October 2016, which upheld the original court ruling that Ashers had directly discriminated on the grounds of sexual orientation. The McArthur family, who own and run Ashers, had turned down an order for a cake bearing a pro-gay marriage campaign slogan because it conflicted with their Christian belief that marriage is between a man and a woman. I am trying to get a campaign going amongst the church regarding the BBC licence fee. I personally have written to my own MP, as the BBC licence is coming up for a debate soon. I would ask you to search your conscience why you should be supporting financially an organisation I now believe to be antichrist. Of course it is your choice how you spend your money, but I do believe the Holy Spirit is challenging us as true believers to be more discerning about what we allow in our houses. Please take a look at my YouTube video. I have had letters and communications from the licensing authority near enough calling me a liar. I have not watched the BBC or any live transmissions for over eight months now and could not even tell you what is on their programmes or their programming schedule. Their attitude at the TV licensing authority is tantamount to bullying. To get the goons from Capita off my back I have to let them into my property, which is a violation of my rights. Legally they have no right to enter my property as I have removed their right of access, which you can do, and they have no legal right to enter your property unless you invite them in. If you take a look on YouTube at this subject you will see their bullying tactics. It is time now that the church stood up and was counted. Most of your TV licence fee goes to extravagant living by people like Chris Evans, Jeremy Vine and out-of-work actors and comedians who are blasphemous to God. The Bible tells us in Psalm 1, which I suggest you read and make up your own mind, not to sit with the scornful and the mocker. So I would ask you all to ask the Holy Spirit if you should be watching and supporting such filth and antichrist behaviour. I believe it is time now true believers stood up for what we truly believe. You may say, “What can I do about it?” There is much you can do. Firstly pray that God will bring this abominable organisation down. Withdraw your TV licence fee from this organisation. Write to your MP and the Prime Minister Mrs Theresa May with your own concerns. Why should you pay the BBC for watching Freeview, Sky, Virgin and even using your own laptops in your own home, as none of your licence fee goes to any of these other organisations and is kept by the BBC only? It is time the BBC became a subscription channel only and if people want to be brainwashed with antichrist abomination then they can choose to pay separately. It is sad that such a wonderful organisation deteriorated into this condition. It is only kept there by politicians. You can also go onto my petition on 38 degrees and support us. Please share this with your other friends and those in the church, as it is a message that I believe the Lord wants to get out to His body. It is time to get right with the Lord before He comes. Watch this video by Rev Ross Rennie and then consider your viewing habits and decide whether you should give up watching live television and BBC iPlayer so that you can stop paying for a television licence and helping to fund the BBC’s agenda.